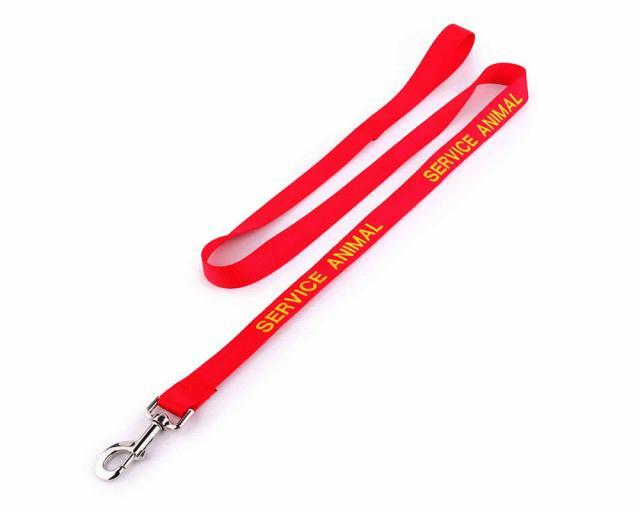 This Custom Nylon Leash is the perfect leash for your rambunctious K-9. Sturdy and reliable, your daily walks will be enjoyable for both you and your four-legged best friend. Most importantly, they'll be easily identifiable as a working animal. Large is 5' long and 3/4" wide. Small is 4' long and 5/8" wide.